M 90 is a spiral galaxy that lies approximately 60 million light years away in the constellation of Virgo. 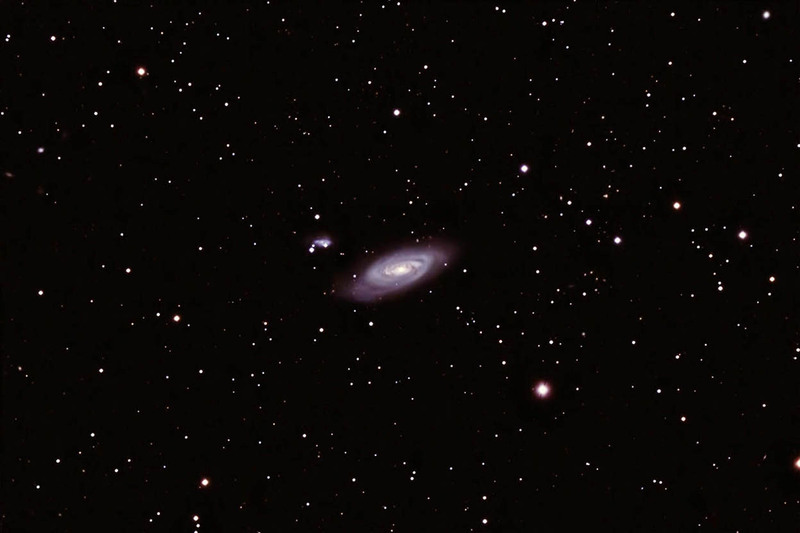 It is one of eight galaxies that were catalogued by Charles Messier in 1781. It is part of the Virgo cluster of galaxies and appears to have lost much of its interstellar matter as a result of earlier interaction with other galaxies in the cluster. As a result, its spiral arms are not well-defined. The arms also have very little new star formation taking place at this time. The irregular companion galaxy is IC 3583. Exposures: 16 @ 360 sec. Shot from my backyard observatory in southeast Minnesota on 5/4-5/16.